SEO Hacks – It is no longer news that Search Engine Optimization (better known as SEO) has shaped the way website run in recent times. For over a decade, various tips have been created and tested to drive traffic and lead and convert mere audiences into full-blown followers. Some of them have worked out fine, and a sizable number have not, and even some have worked out for a bit, then went downhill. For instance, increasing organic rankings by targeting specific keywords no longer work with search engines these days. This is not to say that keywords are not essential in our usage. Over 80% of cell phone users make use of a search engine every day, according to a recent survey. Hence, the benefits of driving such traffic to your site are enormous. 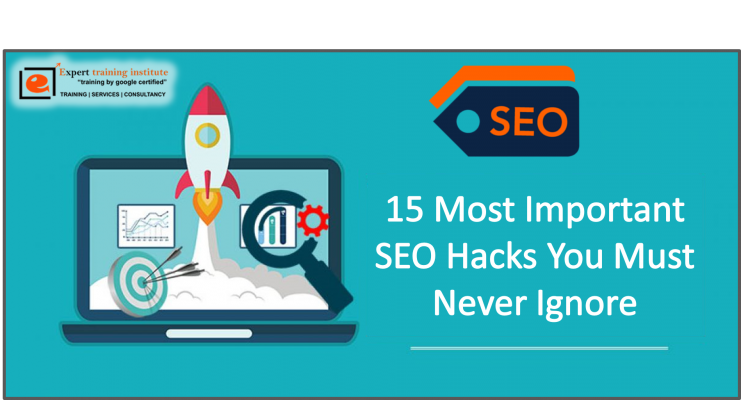 But with so many SEO tricks out there, pulled out by various blogs, it is increasingly difficult to ascertain which one works and which tip(s) you can ignore. So, what are those surefire SEO tips you should not ignore during link building strategy, blogging, social media and even search optimization? Let’s dive into them. Rid Your Site From Anything That Slows it Down. Before, eye-candy was the in-thing. Everyone wanted to make a statement through their graphics, and fancy plugins. But most users have realized that these sites really offer nothing when they look past all that fancy web design. When your webpage takes more than 3 seconds to load completely, you’re going to lose a sizable number of potential visitor and even a greater number of your real target audience. It is highly recommended that you do away with widgets and plugins that are not really necessary for your site, and trim down on the graphics. You can check out this post by Lform Design as it sheds more light on it. Google has cited that it has used site speed as a primary factor in placing a site on top of search engine rankings. So, make the right choice. Use URLs That are Readable. It is important that you do away with long URLs. Search engines are beginning to think more like humans these days. If your target audience does not understand the URL you put up there, search engines would be confused as well. Stick to readable and meaningful URLs, that is easy for users to find. Avoid including numbers, in your URL if you can. Using 4-5 phrases separated by short dashes is recommended. Be Unique in Your Meta Descriptions. Imagine you were in invited to a boardroom to talk about your services. With the eventuality of others like you selling similar services going in before and after you, how do you pitch your idea? How do you stand out? It’s all the same with SEO. Search engines like Google use meta descriptions along with URL and title tag of each website when displaying search results. It is important you stand to create a unique meta description from the many others. You can get penalized for posting duplicated meta descriptions on your site. If you own different sites for different services, do not use the same meta description. Link Other Website With Relevant Content. A lot of people are of the opinion that linking to authority sites is bad for business; because it takes visitors off their site. But the reality of it all is that you do not get from others without giving first. One of the surefire ways to get inbound links from authority sites is linking them from your own content. It is a good SEO practice to link out to other sites that offer quality content. You can even notify influencers than you linked them to your posts and if they like your content, they can share it with their followers which will bring more traffic to your site. Optimize Your Click Through Rate. Increasing your click-through rate has a lot of benefits. For starters, Google ranks a site higher when a lot of people click on it. It sends them a signal that people love what they find on your site. However, when people don’t click on your site, Google sends it down the food chain. One of the easiest ways to optimize your CTR is to add numbers to your description tag—just like what the post did above. It will drive numbers to your page and boost SEO. Are there old posts hanging in your site that you feel are still relevant today? Go right ahead to edit and update it with new information, images, and tips. .
Be Intentional in Your YouTube Description. It is not any longer strange that YouTube videos show up on Google’s first search page, and this is a trend that will not end anytime soon. You can take advantage of this by getting your videos to rank higher for competitive keywords. This, you can achieve, by dedicating a +150word quality content with the necessary keywords to your video descriptions on YouTube. Since Google or YouTube do not watch or listen to your videos, they rely on the text-based title and description to rank your videos better. Include Long Tail Keywords in Your Title Tags. It is bad SEO practice to include a single keyword in your title tag. This reduces your chances of turning up in various search engine results. When you embed long-tail keywords to your title tag, you will get significant search engine traffic. This is perhaps the best SEO hack you’re ever going to read. When you create a keyword that is unique, you’ll rank the highest on search results. This is because you’re the only one optimizing on that keyword. Prioritize Your Readers Over the Engines. When gunning to be rated high on search results, focus the attention on your reader’s and not on those ranking numbers. Fact is, your readers are the people who will engage you, share your post, buy your products and services, and it doesn’t work the other way around. Churning out content for the purpose of making search engines happy is a wrong approach because these engines conduct random spot checks on websites, and your credibility matters. A lot. Forgetting about search engine results and writing to help someone who needs your service will make all the difference. Get Your Analytics in Place. It is important to get your web analytics in place before you decide to launch your site. It becomes easy when you can track your progress, check out which of your content is performing well and your target audience’s perception about your site and the service you offer. When your analytics are up and running, you can make some adjustment to some of the contents, and drive your site in the direction you want to go. Web analytics software like Google Analytics, Google Search Console and even CrazyEgg will you when your visitors are clicking on most when they visit your page. Utilize Your Social Media Platforms. Initially, social media dealt with the live following, while SEO was thriving on ranking higher on search engine algorithms. However, there has been a marriage between the two. Create good content that can be shared across the popular social media platforms. Include share buttons on your post. Share them across these platforms and encourage your followers and friends to read and share as well. A lot of people fail to realize that specific images are generated on search engines when specific keywords are used to search for them. It is important to use the right keyword for the name of your image. The keywords to use in the caption must be on point, too. Over time, search engines like Google have shown a preference for https sites than sites with just http. This is plain because HTTP (Hypertext Transfer Protocol) sites are just known for transferring information across the internet in a ‘free’ form. On the other hand, HTTPS sites are more secure because they use Secure Socket Layer (SSL) in order to communicate on the web. HTTPS sites also encrypt data, making it difficult for anyone else to crack it. Therefore, for SEO boost, create an https:// website. The best way to outshine the other on SEO Rankings is to create amazing and original content. Readers are always hungry to read up on new stuff, so it is best you feed them unique and fresh content consistently. 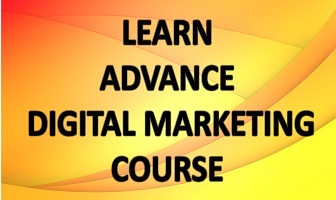 This will not only bring more traffic to your page but take you higher up the food chain. SEO is an evolving phenomenon, with changes being an adjustment being made from time to time. However, some basic hacks remain the same. With these tips outline, getting the best SEO rankings will be a reality.